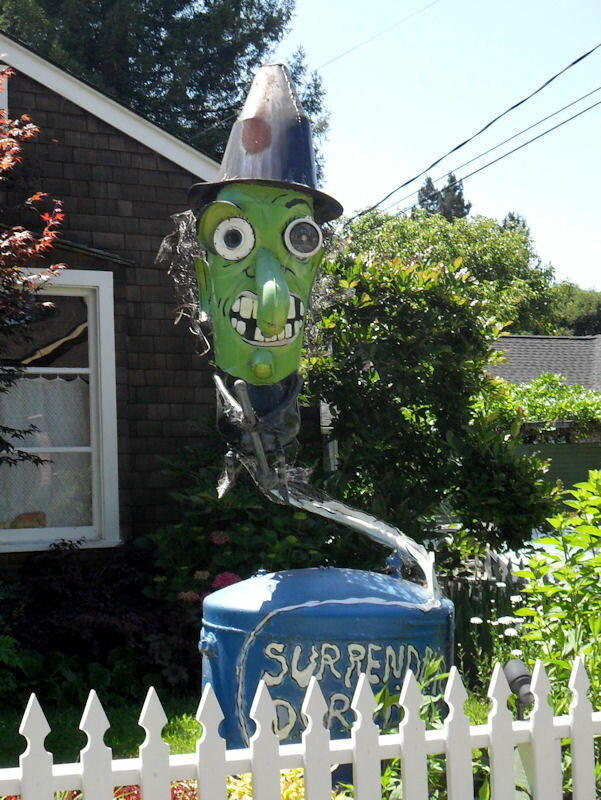 Amanda (one of my most prolific “wonder-finding” friends) is back to share some of the fantastically whimsical sculptures in Sebastopol, California! Check her photos below. 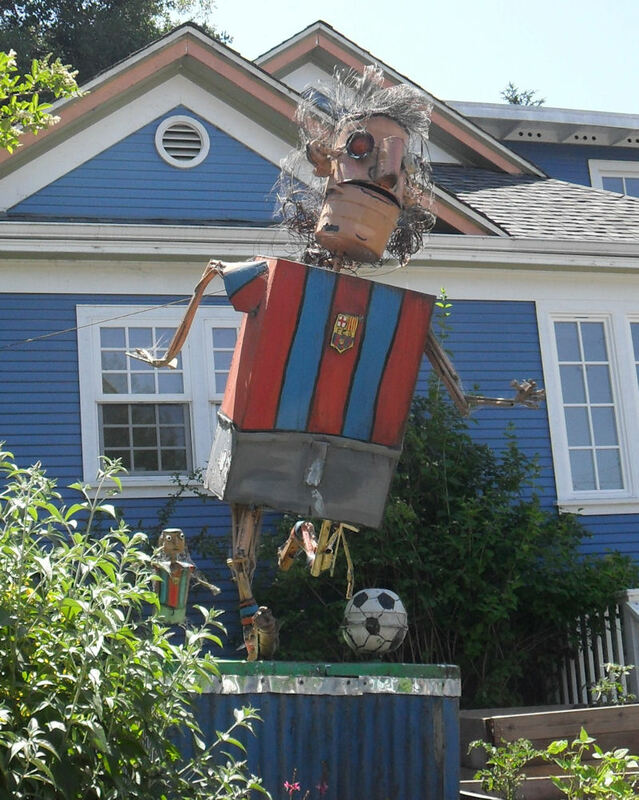 Also, see an interview with with artist Patrick Amiot at the end of this post. 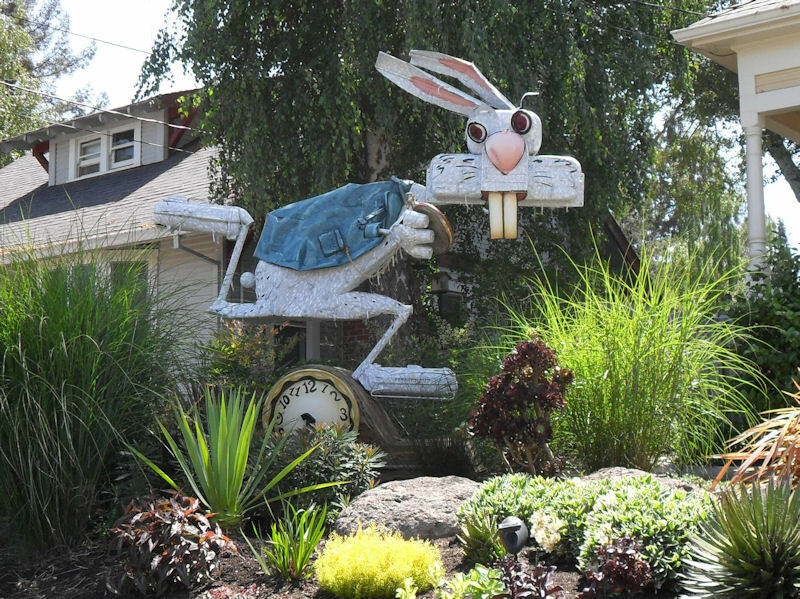 Sebastopol, California is a mecca of junk sculptures; most of them made by Patrick Amiot. 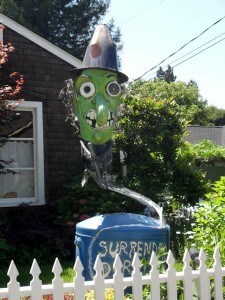 There are around 250 of his sculptures scattered around town. We managed to find a lot of them; but there are just far too many to get all of these fantastic roadside wonders in photos. 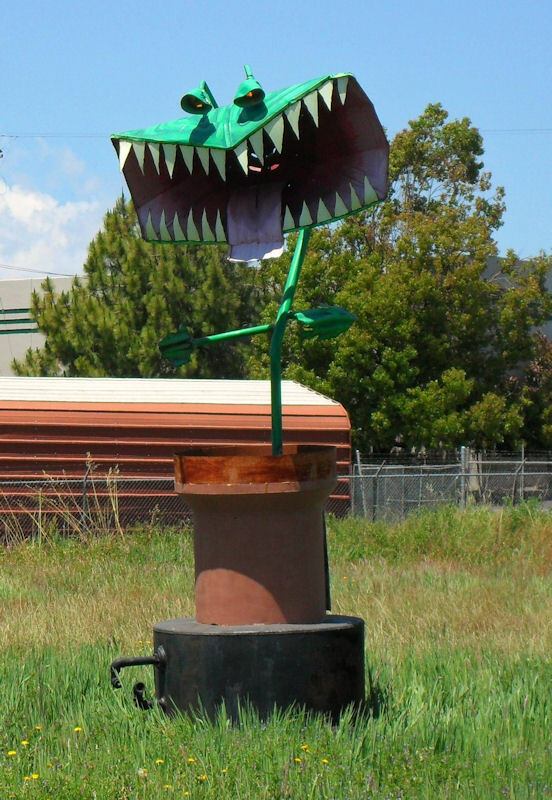 There’s a gopher in front of a hardware store, a bee in front of the library and numerous others but some of our favs were his Demented Dog, located in front of the Sonoma Human Society, The Big Bad Wolf Train located in a shopping plaza off of Highway 12 & Sebastepol Avenue, and the Giant Carnivorous Plant located in front of the California Carnivores Greenhouse. 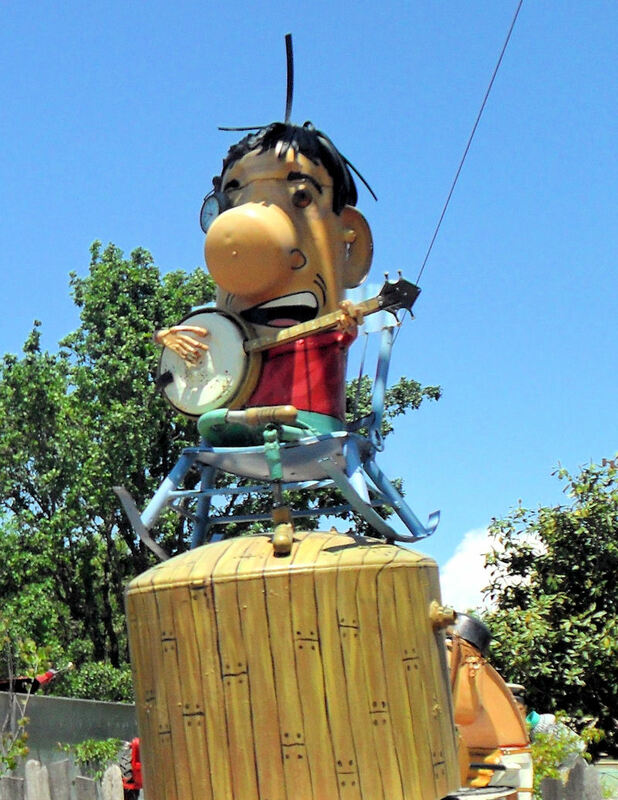 This town is so much fun! 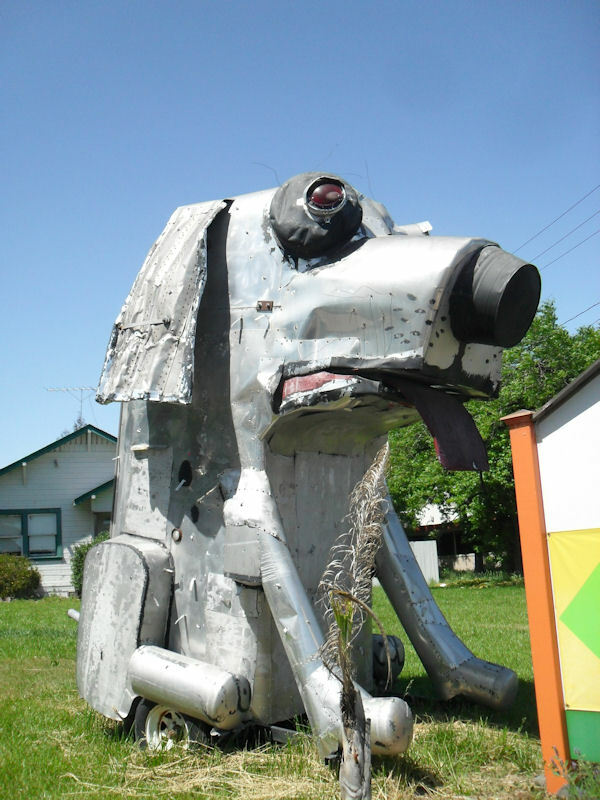 If anyone ever passes through, stop at the roadside stands and shops, they offer a lot of fun, quirky, and unique finds and, of course, be on the look out for all the funky junk art! 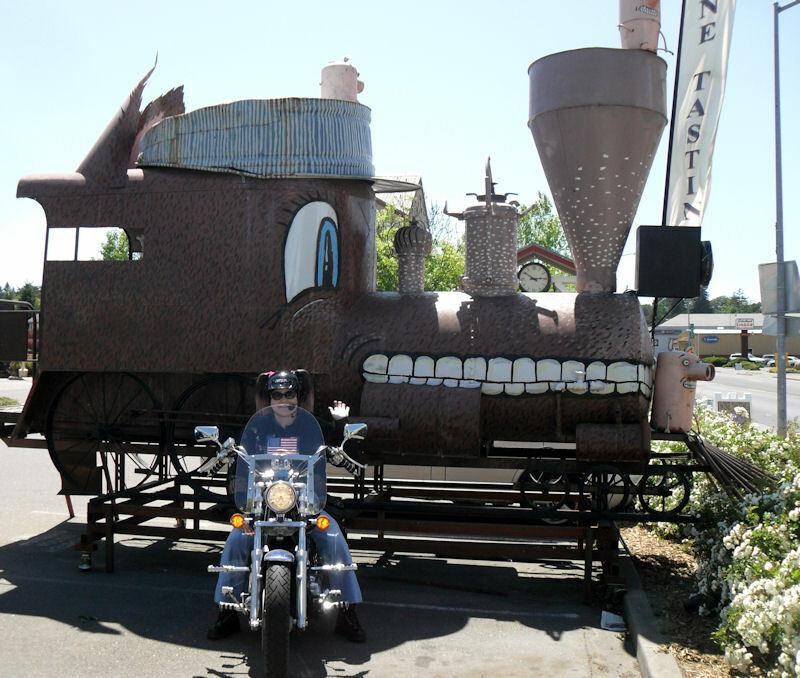 Amanda poses with The Big Bad Wolf Train … isn’t she adorable? What a fun town that must be to live in! The artist is certainly prolific. 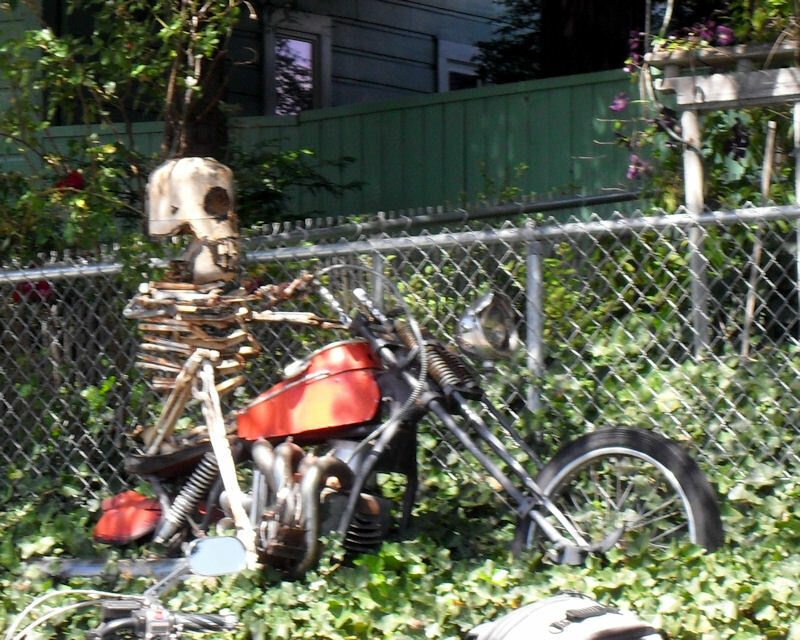 I love people with whimsy. How cool! And I loved the video, great post!